Earlier this week, the last male northern white rhino died, signaling the end of the subspecies (unless artificial insemination attempts are successful). Several other types of rhinos are endangered as well. The largest group are the white rhinos (including all subspecies) with around 21,000 individuals, while the Javan rhino numbers a mere 50-65 individuals, making it a competitor for the world’s rarest large mammal (one of nature’s worst competitions). 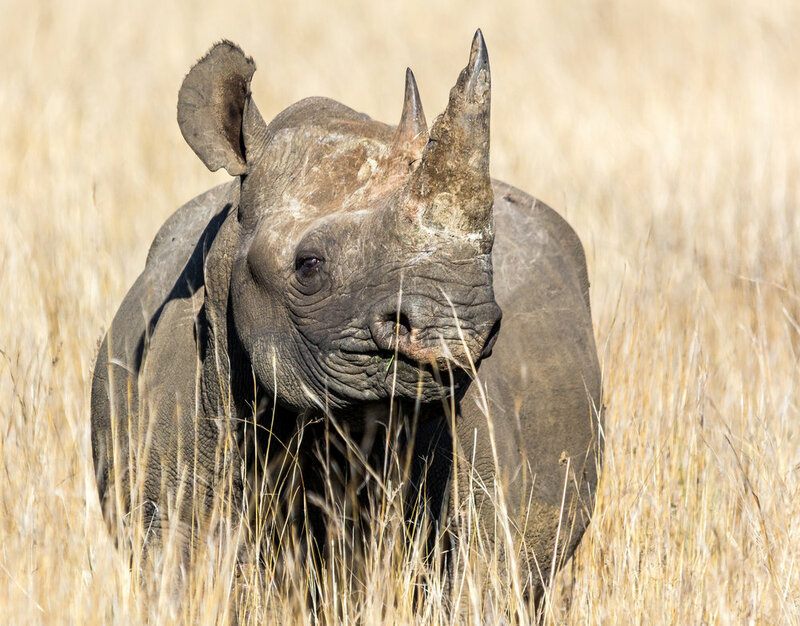 The main threat to rhinos is poaching for their horn, which in the recent past has been worth more per gram than gold, platinum, or cocaine on the black market. Rhino horn is used in traditional Chinese medicine, used as a hangover cure in Vietnam, and consumed as an aphrodisiac or party drug to display wealth and status. Of course, rhino horn does none of these things. But the demand for this expensive, illegal placebo from Vietnam, China, and other Asian countries has made poaching a lucrative option for many poor men in southern Africa. Conservation groups around the world have put loads of resources towards outreach and education programs focused on protecting rhinos and reducing the demand for horn in Asia. But while the usual methods are effective, they’re not enough. So people have come up with some other, rather unusual means of protecting rhinos - with varying degrees of success. Here are four of them. One idea would be to inject packets of pink radioactive dye directly into rhinos’ horns. This is similar to methods used by banks to identify and track stolen cash. In theory, the dye would be picked up by airport scanners to catch smugglers, even if the horn has been ground into powder. 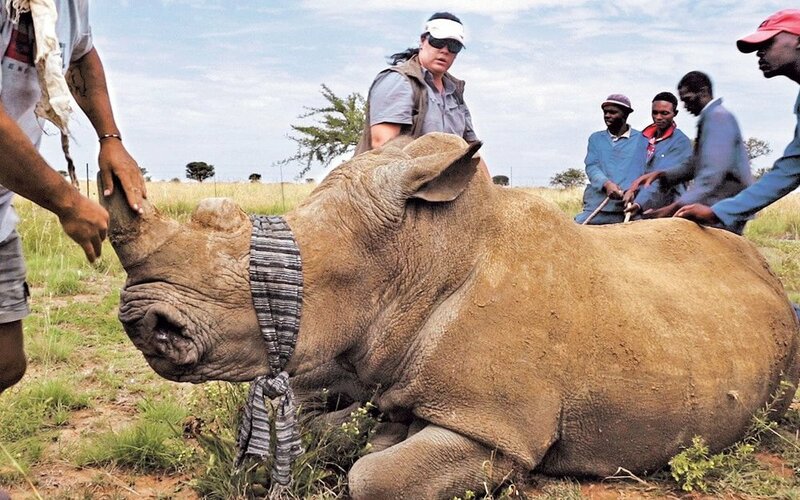 In the event that the horn reached the consumer without the smuggler being caught, the horn would also contain toxic ectoparasiticides, which would cause vomiting and convulsions in the consumer and hopefully deter them from buying rhino horn in the future. A rhino's horn is disconnected from the rest of its circulatory system, so the dye and poison wouldn’t affect the rhino at all. Unfortunately, these methods have been proved ineffective. Because the radioactive dye is inside the horn and not visible on the living animal, poachers aren’t deterred at all, since they can still sell the horns to mid-level sellers. Still, it’s kind of fun to imagine rhinos with pretty pink poisonous horns. Kruger National Park in South Africa is home to the world's largest rhino population, and is a poaching hotspot. 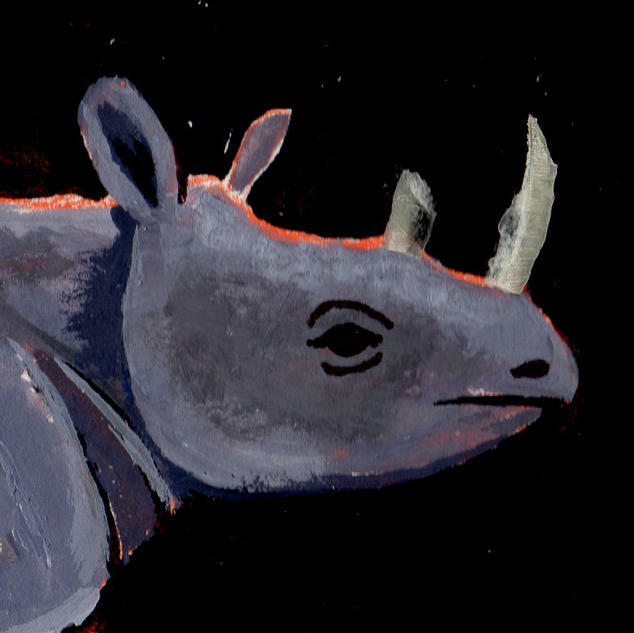 Many poachers sneak across the park’s border with Mozambique, shoot rhinos, cut off their horns, and vanish into the night with their prizes. Kruger has teamed up with the South African military to protect their wildlife, and poaching has become almost like guerilla warfare. Rangers and soldiers have defended rhinos with their lives in some cases. 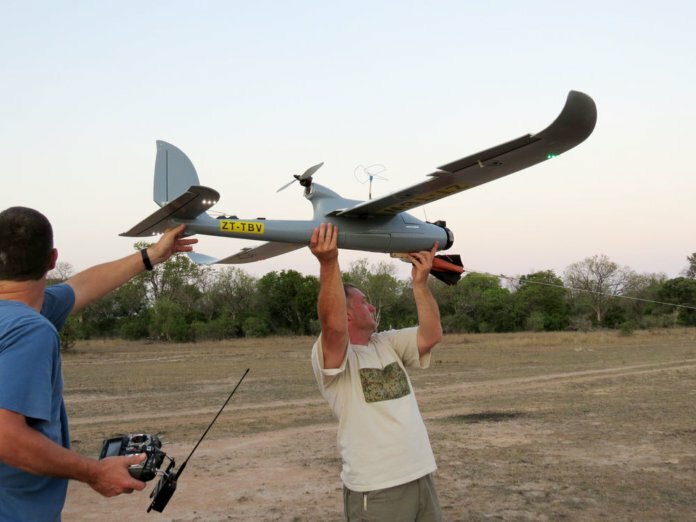 Kruger tried using drones with cameras to search for tell-tale signs of poachers (e.g. cars off the road, tire tracks, signs of bush camps) as well as monitor the positions and status of living rhinos. However, drone trials in Kruger were stopped last year due to the difficulty of spotting animals from the air. Kruger has also put their foot down on tourists’ drones – last year, one guy was banned from the park for life for using a commercial drone. Last year, the South African government made it legal to sell rhino horn. This may seem like a step backwards, but the new law could actually help reduce poaching. Rhino horn is made of keratin, so if the horn gets cut off above a certain point, it doesn’t hurt the rhino and the horn grows back. The problem is that poachers kill the rhino rather than safely sedate it, and hack off the entire horn, including the root it grows from. By farming rhino horn safely, conservationists hope to flood the Asian markets and reduce the value so much that it’s not worth it to poach rhinos anymore. Selling the horns also raises money for other conservation and education efforts. You can support rhino conservation through Save the Rhino, the International Rhino Foundation, or the World Wildlife Fund.